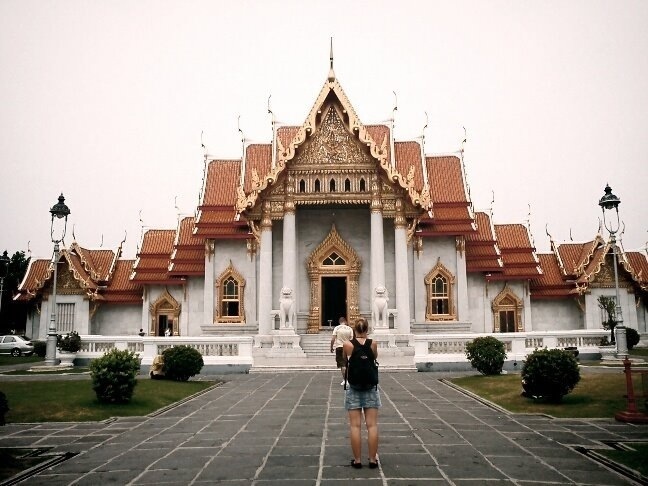 In our Bangkok trip last year, we did some research about places to go to but I wasn’t able to make an itinerary as I planned to do it on the spot. It’s my first out of the country trip, first time to ride an airplane, and first spontaneous trip so technically, it’s an adventure-filled vacation for me. The first thing you need to get hold of when you land a foreign place is a map. Fortunately for Bangkok, the airport will welcome you with brochures of free maps on the arrival area including mini leaflets of top tourist destinations to help you out on your stay there. I must say that those little trinkets have proved to be really helpful as it is where I based most of our spots to visit. A little cheat sheet could help you a long way especially if you commute or go shopping. Filipinos are often mistaken as Thai as the facial features resemble. 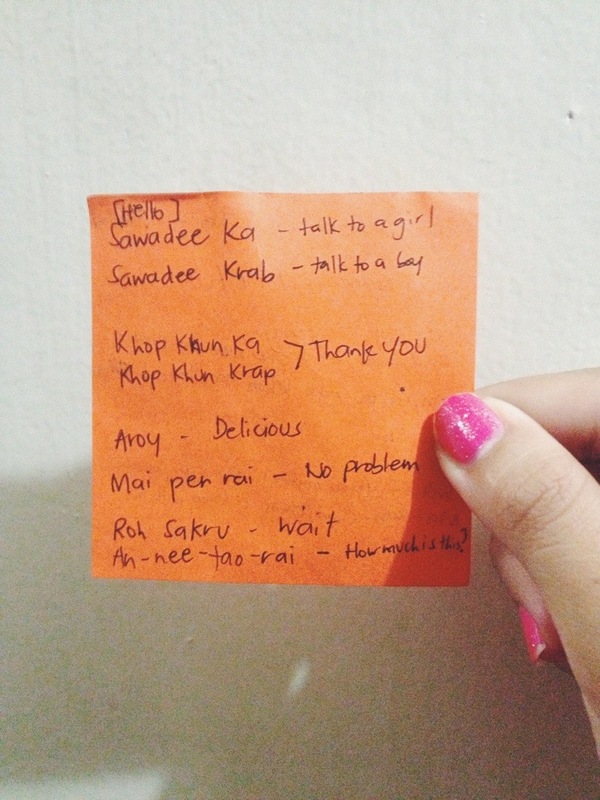 When I went to Pratunam market on our first day I talked to the sellers using a few phrases I learned. They answered back in their own language which I did not understand so I had to tell them “English please” and then they will smile, acknowledging the fact that I’m a foreigner and that I’m trying to blend. Later on, they will just use the calculator and we’ll bargain for the price of the item. 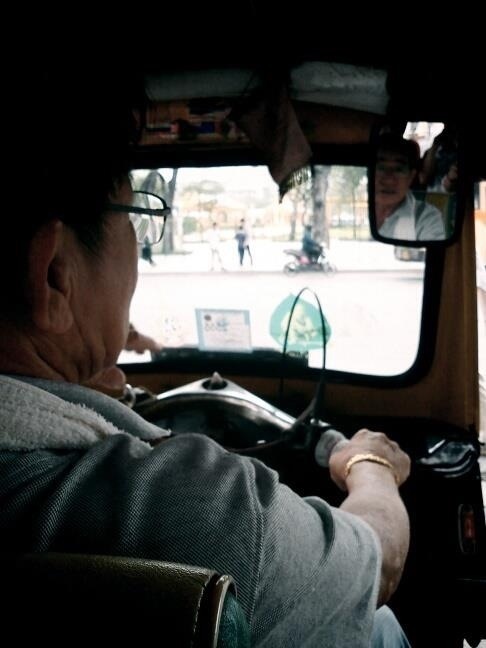 There were also a few instances when a Tuktuk driver offers us for a ride but knowing that it would only cost us more, I would answer with a smile and disagreeing head gesture quipping “Mai aow ka, kop khun” which means “No, thank you” in Thai. 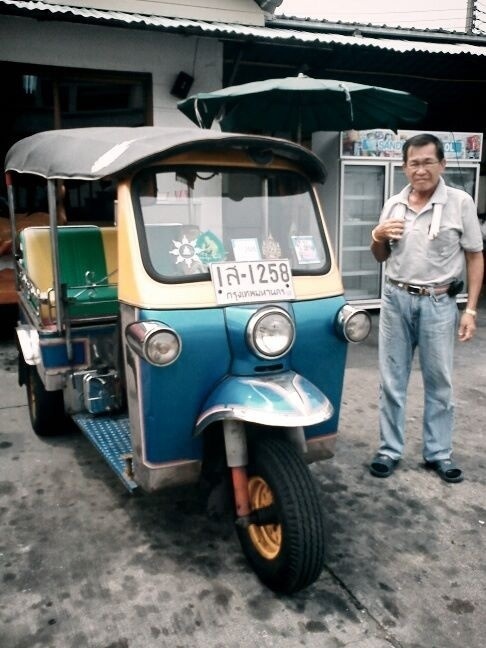 Imagine the look in the Tuktuk driver’s face when he found out that I was a Thai, even if I’m actually not. If you could only see how sometimes they mistake me for a foreigner or sometimes a local, it’s just pretty wonderful because no matter what race I am, the treatment is still the same: they will all greet you with a smile on their faces. We signed up for two kinds of tours: via land and via water. The land tour consists of an hour travel van ride from Pratunam where our hotel is located, to the Samphran elephant zoo in Nakhon Pathom. 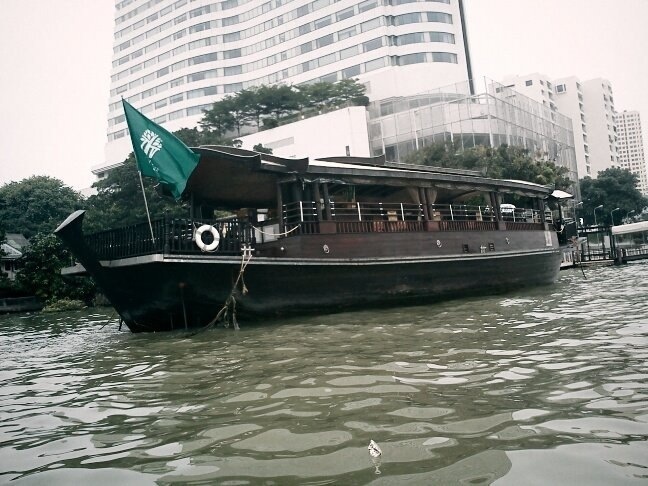 The boat tour, on the other hand, consists of temple-hopping and a scenic view of the old Bangkok. Both tours are a must-try if you want to see Bangkok in a whole new light –that is more than the terror traffic it is most famous for. 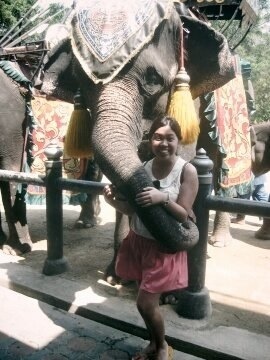 Actually, I’m kind of afraid to experience the Bangkok traffic but luckily, we did not encounter that in our stay there. Maybe you think that I’m just accustomed to the Manila traffic and that Bangkok traffic is bearable. But no, on our days there, there’s really no major traffic. The longest we’ve been stucked in the road would be just a few minutes, not close to an hour. Blend in and see things you won’t discover while riding a vehicle. Walking is not only good for your health, it could also help you gain more perspective on what the place is, more or less, all about. A one-time ride on a Tuktuk for experience is okay but using this as your main mode of transportation will make your pocket bleed. The train, cab, and bus systems of Bangkok is convenient, efficient, and cheap as compared to riding a Tuktuk. The political and religious background of Thailand is entirely different from the Philippines. Their government is ran by a Prime Minister. They also have a King they truly respect and love, it is evident with the way people describe his royal majesty, so every tourist must treat him with utmost respect too or else you’ll be placed behind the bars. Having an open mind on other country’s culture and way of living is a must in every traveller to fully maximize their vacation. Do your research: know what the place has to offer and try it. Thailand is famous for their spicy food, big-sized Yakults, cheap clothes, street coffee, and Thai massage so we tried all of these and more! 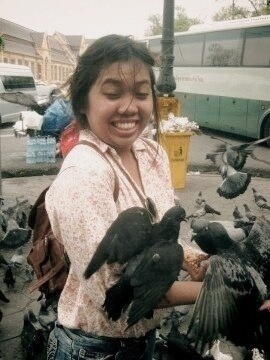 One time on our way to the temple, we chanced upon a flock of birds on a park near the Grand Palace. We’re so happy to see the locals feed these birds and with a smile in their faces, they gave us packs of food pellets to feed the birds. 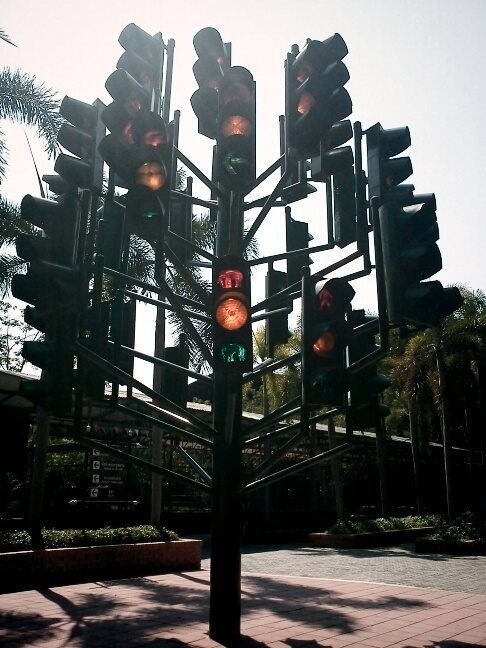 Thinking that it was a gesture with good intention, we accepted gladly. 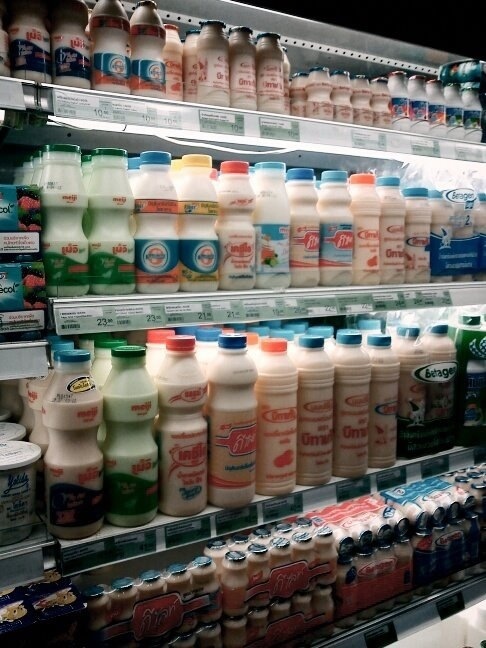 After three, four, five, six more packs, we stopped because we felt like something’s wrong. “Why do they continuously give us food to feed the birds?” When we’re about to leave, they demanded us to pay 100 Baht /pack of pellets. We did not agree to it and explained our side but since they look as if they won’t let us get away with it, so we paid with a frown in our faces. 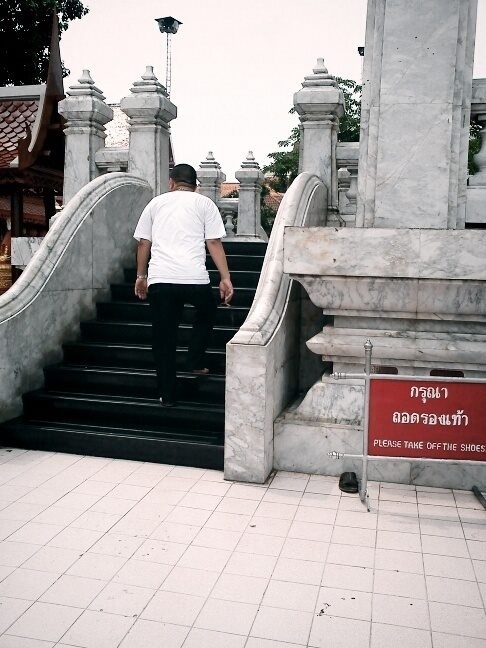 Due to this, we weren’t able to go inside the temple anymore because the entrance is at 450 Baht, and my friends and I paid a total of 1500 Baht for being scammed. All four of us were fooled. This incident really made us sad and angry but what else can we do, we are in a foreign land… You really can’t assume good in everyone, no matter how much you want to. 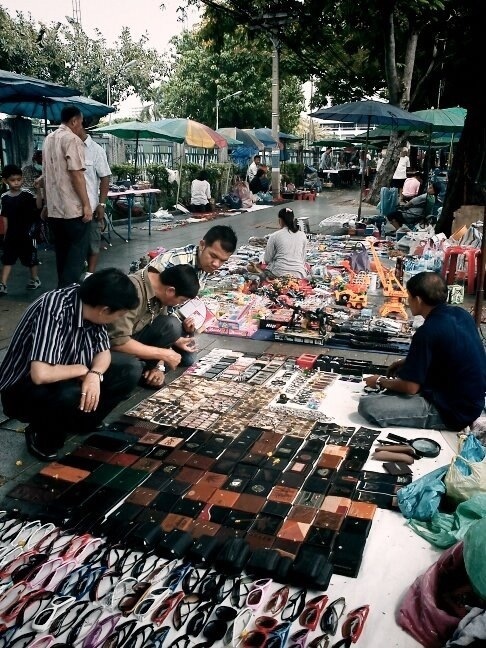 For more tips on the dangers of traveling in Bangkok, see HERE.